Sheriff Ben MarsdenÂ—busy with work, joint custody of his son, and caring for his aging motherÂ—has no plans to attend the Cowboys' Christmas Ball in Branding Iron, TexasÂ— until Jessica Ramsey, a pretty newcomer to his small town, gets involved in the planning. Library edition. Look for Not Quite Over You, the exciting new novel from Susan Mallery, available from HQN books Oct 23, 2018. Pre-order your copy today! 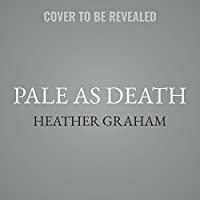 Pale as Death by Heather Graham will be available July 31, 2018. Preorder your copy today!